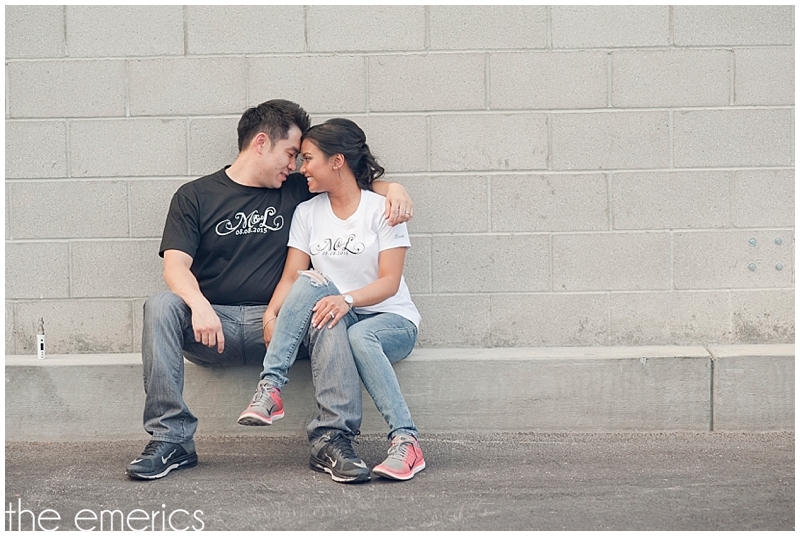 We got so lucky with the weather earlier this month for Lori and Mike's engagement session! It turned out to be a gorgeous day. Not too hot and we even got some nice cloud coverage! But enough about the weather, the real gorgeousness (that's a word, right?) came from these two! Lori had her trail hair and makeup done before our session with one of our favorites, Makeup in the 702, and she looked stunning! Lori radiates so much joy and happiness that you just can't help but feel giddy around her. I'm pretty sure Mike gets this and he's gotta know just how good he has it ;) We had a lot of fun with them during their downtown Las Vegas engagement session. We walked around town, grabbed some beers, laughed a ton, oh and we got some great photos too! 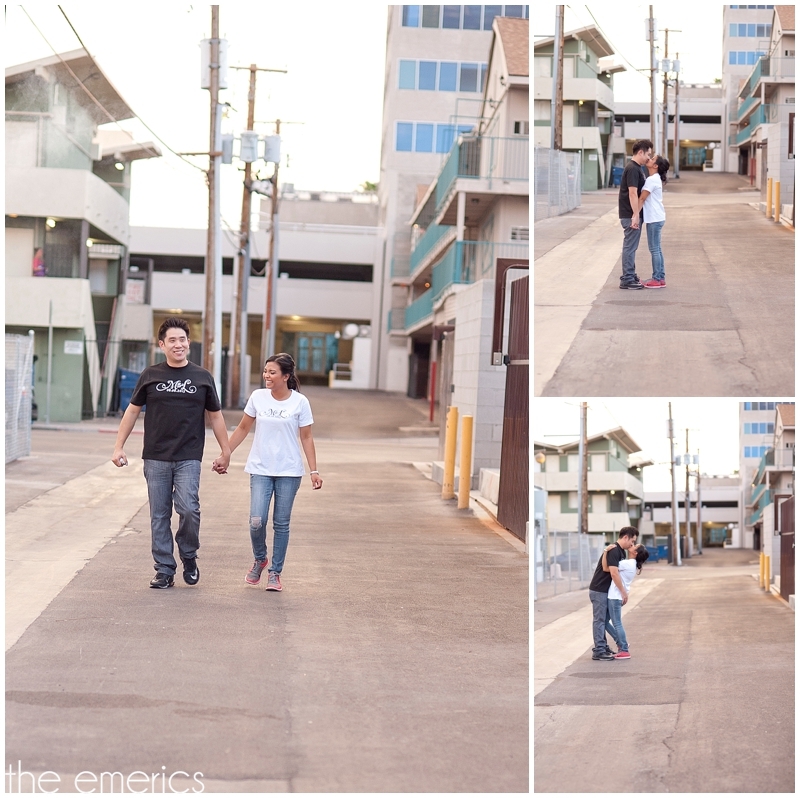 Jason and I are looking forward to their wedding next month at KMA Event Center, coordinated by Archel Rowling Events. It's going to be an epic day for Lori and Mike.